Each package of Christian Candy Lollipops contains a cute Butterfly Scripture Candy Pop, caterpillar gummie, hangtag, and small bow. This cute and delicious Scripture pop and gummie are decorated with icing. Great for Easter baskets and gift giving! 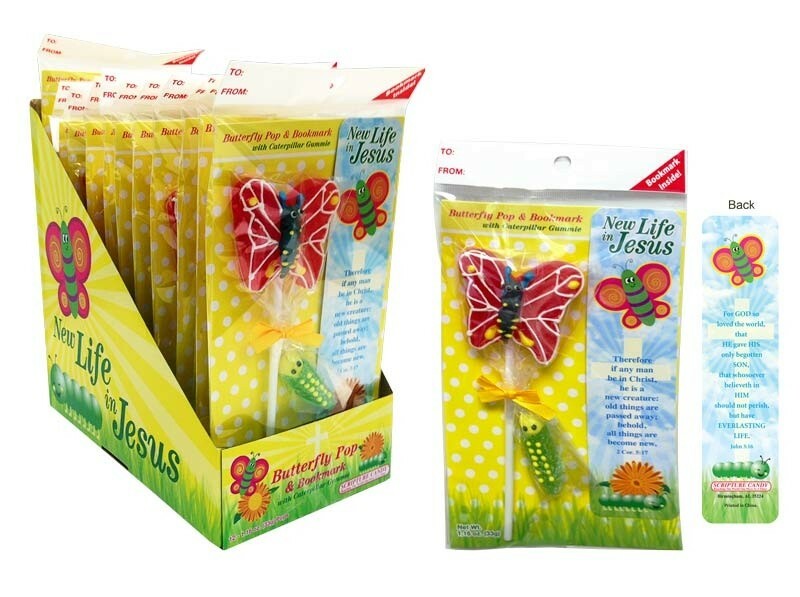 These Butterfly Scripture lollipops come in a 12-count display.